Most property management companies require a 1-2 year contract period with very few offering month to month services. Bear in mind that the contract will be legally binding upon its execution (signing), even though the start date or "effective period" may begin later. After the initial or "primary" term is over, the contract may automatically renew itself for another term repeating the process each time the expiration date occurs. Find out how long of a term the auto-renewal will commit you to, it could be longer that the initial term was for, which would be important to know. Also, in the event that you want to prevent this automatic renewal from taking place, you might have to provide written notice at least 15-30 days before it takes place. 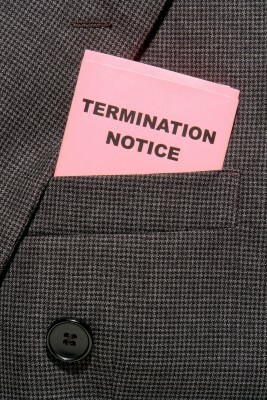 The termination clause is a very important piece of the contract. It will dictate under what circumstances you or the manager can end the relationship prematurely and what penalties or costs you will incur. Without an exit plan, you might find yourself trapped if the relationship doesn’t work out. Find out how much notice the management company requires before allowing termination of the contract (30 days is normal but some companies require up to 90). Also, does the contract require "cause" as a prerequisite to being able to provide this notice? If so, the agreement needs to spell out what exactly qualifies as "cause". Will there be any fees or penalties for terminating the contract early? Not all managers charge a fee; if they do it’s either a straight forward flat fee (300-500$), or something conditional. Conditions can vary widely, from having to pay a fee if you cancel during the initial vacancy period, to only having to pay a fee if you cancel after a tenant has been landed, or within the first 12 months. Worse case scenario? We've seen contracts that in the event of early termination still require the payment of monthly management fees for the duration of the remaining lease term(s) and others that require the total management fee for the life of the contract (based on scheduled rents) to be paid upfront as a pre-requisite to early termination. Ideally, you want a contract that allows for termination without cause with 30 days notice. Bear in mind that while this clause is a legitimate way for the management firm to protect itself from making an upfront investment in a property only to have the owner bail, it also speaks to the company’s faith in its ability to satisfy its clients needs. If they are having to implement extreme switching costs (termination fees) in order to retain clients, this is a bad sign. There should also be some provision to allow you to exit the contract without penalty in the event that the manager is not able to secure a tenant within an extended period of time (3-4 months). When you do decide to terminate, make sure your written termination date reflects the exact contract term expiration date, otherwise you could be liable for the penalties mentioned above. In the event that this (name withheld) Agreement and Authorization is terminated for cause as allowed by this section, said termination will not release nor relieve Owner of its responsibilities for payment to Agent of expenses and management fees for the full term of this (name withheld) Agreement. Provide owner with a final financial report along with remaining rents on hand minus agents fees and funds needed to cover all outstanding expenses the manager has incurred in the course of managing the property. There should be some time parameter dictating how quickly this will take place after termination. Also, check if the contract contains a clause giving the manager permission to withhold owner funds, either all or a portion like the reserve, for a certain period of time. This is usually for 30-60 days and is done in order to make sure all expenses are paid, such as those already incurred but not yet invoiced. Provide owner with necessary records and documents. This would include a list of tenant security deposit obligations, copies of tenants’ leases and other instruments entered into on behalf of the owner. Provide owner with a record of tenant security deposit obligations. Transfer security deposits either to the owner, or the owner’s new agent minus the relevant deductions as dictated by the contract. Provide tenants written notice of the exact dollar amount of the security deposit and inform them that the owners or owner’s new agent is now responsible for returning their security deposit. Provide tenants written notice that they are no longer managing the property, and provide them contact information for the owner’s new agent or designee. Does the contract specify the usage of a mediator or arbitrator to resolve disputes? If so who preside and what is the process? Who pays for their services? Note that there is a difference between mediation and arbitration. In the event legal proceedings are required to settle a dispute about the contract, will the prevailing party be entitled to reasonable attorney’s fees? Check to see if the contract puts a cap this amount, if so the entity with more cash may have an inherent advantage in the event of dispute. In our next and last article in this series we are going to provide you with a easy to understand description of some of the common legal clauses and concepts covered in the contract.